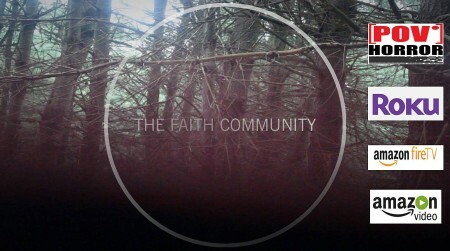 Your new movie The Faith Community - in a few words, what is it about? 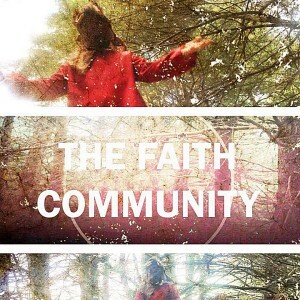 The Faith Community is a found footage horror film that revolves around three college students who mistakenly come face to face with a doomsday cult preparing for the world�s end. Your personal thoughts on bible camps, and to what extent are they reflected in your movie? I am a huge supporter of individuals who attend bible camps and find them spiritually fulfilling. Personally, however, I find bible camps to be a bit heavy-handed. I find retreats and camps of religious nature to be potentially very comforting for those who attend, but also can be overwhelming and scary in a way. When I attended bible camp as a kid, I couldn�t help but feel that I was approaching religion all wrong. Bible camps can be very isolating for people who are questioning religion or choose not to practice religion in the orthodox way. I feel that my discomfort in bible camp is very much reflected in The Faith Community, and I had a lot of fun taking that discomfort to a very far, scary extreme. (Other) sources of inspiration when writing The Faith Community? I did some pretty heavy research on doomsday cults to prepare for this film. I read a lot about the Heaven�s Gate mass suicide, which took place in the 1990�s. Heaven�s Gate was a religious group that believed in an extraterrestrial spacecraft following the passing of a comet, and thought that the spaceship would take them to another realm if they sacrificed themselves in time with the comet passing. In 1997, thirty-nine members of Heaven�s Gate committed suicide in a San Diego mansion and were found lying on bunk beds. They ate poisoned apple sauce and were dressed in all black with the exception of wearing identical black and white Nike Decades. This cult really influenced the social dynamic that I strove to encapsulate within The Faith Community, and I pulled a lot of inspiration from Marshall Applewhite, the leader of Heaven�s Gate, when I worked on writing the character �The Messenger� in my film. The Blair Witch Project and the first season of True Detective were also hugely influential in the process of this film. To what extent could you identify with The Faith Community ... and/or with "The Messenger", actually? Despite my name being in the title of this film, I don�t personally identify very much with The Faith Community. This project was such a fun one to tackle, and Vicious Apple Productions gave me so much wiggle room to stretch myself creatively as a writer and director. I find religion to be very daunting and sometimes scary, so pulling from my own fears and altering them into a film was very enlightening and also a blast. The Messenger is definitely the love child of every youth pastor that has ever annoyed me, and every small town reverend who has ever tried to talk to snakes. 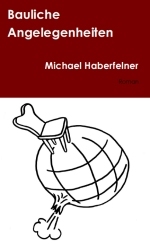 I�m very pleased with how complex I feel that character ended up being, and I really enjoyed exploring him, his past, and how some boys grow up to be those seemingly �creepy� bible-thumping men. He came to life in a way that was both unexpected and very exciting. Even though I wouldn�t choose to hang out with The Messenger in my free time, I do like him very much as a character, and am glad that Jeremy Harris rose to the occasion with that character specifically. What made you choose the found footage approach for The Faith Community, and where are the advantages and also challenges filming that way? The found footage genre is a very accessible form of film, and being an emerging filmmaker, I am happy that The Faith Community has the potential to reach a large range of audiences. 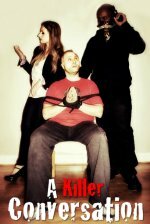 In addition to being a very fun type of film to make, found footage horror can be made on a very small budget, which I was working with on this film. The planning that goes into shooting a found footage film (shot list, screenplay, etc.) is a bit different than the approach I use for more traditionally based narratives, but I found this to be a fun challenge in terms of how we structured each shot. Found footage is a style that really contributed to this film idea, and I am eager to see what�s next regarding my work in found footage. Do talk about The Faith Community's approach to horror for a bit, and is this a genre at all dear to you? Horror is a genre that I enjoy very much. I have loved dark comedies, folktales, and ghost stories from an early age, and I feel lucky to be able to work in the horror industry. The Faith Community tackles some traditional horror tropes, and some other approaches that I have never seen done in horror before, specifically it taking place before the sun goes down. The Faith Community is not littered with jump scares, but rather luxuriates in a strange pool of discomfort foreboding. What can you tell us about The Faith Community's key cast, and why exactly these people? The cast of The Faith Community consists of current and former NYU Tisch Drama students. I am currently finishing up my senior year at NYU, and I have worked with a majority of these actors, either on stage with them or offstage as their director. These people are some of the most hard-working and talented actors I�ve met during my time at NYU, and I am so thrilled to sharing this project with them. I trust this cast very much, and was able to have a very open line of communication with them on set and during the early stages of the film. Going into this project, I knew that I wanted the set to be very collaborative, and I wanted the cast to feel as though they were just as important to this process as myself, our producer, and whoever else ends up working on The Faith Community. I�m excited to work with these actors again soon. Do talk about your (almost exclusively outdoors) locations for a bit, and what was it like filming there? Filming outside was very hot and humid. We shot The Faith Community in July, and Baltimore isn�t so pleasant during that time. Even though it felt a bit painful at times, I think that the circumstances of our setting and the weather helped give the film a bit of a gruesome feel. The area where we shot the camp scenes was littered with ticks, so we had a lovely time checking one another for bugs and bites at the end of the day. The shoot was surprisingly smooth considering the weather and the outdoor locations. We all stayed in my parents� home during the duration of the shoot, so we existed in extremely close quarters on and off set. Overall, the cast and crew approached each day with an incredible amount of energy and readiness. The entire film was shot over the course of four days, and each day was met with a very professional level of focus. We all became very familiar with one another by the end of the shoot. What can you tell us about audience and critical reception of The Faith Community? The Faith Community has a pretty polarized reception in the public eye, which I consider a very good thing. I once had an acting teacher who told me that �a good actor makes hot choices, not warm ones. Be hot or be cold, do not be warm�. I feel that this applies to myself as a filmmaker as well. I would much rather have someone hate my film instead of thinking it�s �alright�. The reviews I�ve read and watched have been, overall, very positive and also extremely informative. I really appreciate all of the critiques I�ve been receiving, because I feel as though they will ultimately help me write and direct a better film in the near future. Filmmaking feels sort of like drafting an essay; I make, I get notes, I consider the notes, I make something better. I appreciate the thoughts and opinions of other horror fans, specifically in regards to some of the maybe unorthodox choices I made while writing and shooting. My biggest project right now is graduating college! I�m currently writing a new play and a film as well, and hope to continue shaping those into solid final forms. I�m cranking out a lot of content right now which is amazing and tiring, but mostly amazing. My second film with Vicious Apple Productions is currently being brainstormed, and I�m eager to see what we work on next. I have taken filmmaking classes, but am not studying Film as a major. I do, however, have a huge appreciation for film and have grown to really enjoy working in the film festival circuit. I worked with the Brooklyn Horror Film Festival and the New York City Horror Film Festival this year, which allowed me to consume an insane amount of horror media and reflect on what themes filmmakers and audiences are interested in making and seeing. 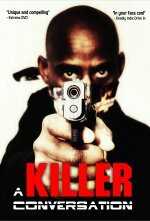 I have more experience writing and directing theatre, which I think shows in my film work. Directing film is a challenging job that I find very rewarding. I love learning while doing on set, and plan on continuing a career in film as well as theatre. What can you tell us about your filmwork prior to The Faith Community? My filmwork prior to The Faith Community is very limited. I have acted and assistant directed a few student films at NYU, but, as said before, I've spent a large portion of my artistic career making theatre. I would describe myself as a very calm and collaborative director. I find a lot of joy in talking to my actors and crewmembers about what excites them about whatever film or play we are rehearsing, and I try to maintain a professional level of personability with my collaborators. I view film and theatre as two mediums that function successfully when approached with a collaborative mindset, and I love learning new things about my work through the perceptions of my cast and crew. With that said, I feel that I do require a high level of professionality in my actors. I like the rehearsal room to feel comfortable, but productive, which is a difficult medium to achieve. Lars von Trier, Tim Burton, David Lynch, Guillermo del Toro, and Paul Thomas Anderson are filmmakers that I look up to and respect very much. Boogie Nights is one of my favorite films, and I really enjoy The Short FIlms of David Lynch. I really respect Lars von Trier because it seems that he doesn�t really care if someone vomits while watching his films. In fact, he might prefer it. The Texas Chainsaw Massacre (1974) is my favorite horror film because it is so wonderfully disgusting in almost every way. Corpse Bride is also one of my favorites, and I love the fractured fairytale elements that TIm Burton incorporates in his films. El Orfanato is a film that I find so haunting and beautiful, and I applaud Guillermo del Toro for the detail he puts into his work. I really despise La La Land. Hmm� I can�t think of anything. Thank you for the very thoughtful questions! I had a blast answering these.